It’s been a while since I sat down at these keys. How do mamas find the time to write? Just when my mind is finally quiet enough to find it’s voice, she comes in with a new request. Another day dawns, another day closes. Laundry piles sorted, washed, folded, put away. Dishes scrubbed, dried, scrubbed again. But no real chance to find my voice… sigh. I’ve been thinking about 2013. I haven’t forgotten about my Word of the Year, and though it is really didn’t take me 29 days to find it, it has taken me 29 days to type it out. I want to be awake in 2013. Awake to the sound of her laughter, and the way her front tooth juts ever-so-slightly in front of its neighbor to make room for new ones coming in. These days are short. A new mark on the height board and a couple more pounds make my arms ache. She’s literally changing before my very eyes. I don’t want to miss it because I’m distracted by Facebook or a text from a friend. Awake to the sound of the mourning doves, soothing song mixing with the twinkle of the neighbor’s wind chimes drift in through the open door. I want to make this home of mine a place of comfort and rest for all who enter. The world can be an angry and frightening place, but my home can be a refuge… a haven on Blue Haven. I want guests to feel peaceful, joyful, and hopeful. I want to be intentional in welcoming people to my table and making them feel at home. Awake to my husband. Intentional about loving him. Intentional about serving him… not because I’m trying harder to submit, but because I want to love him more. Because I’m thankful for the ways he serves us. How thankful I am that he’s a Dada who comes home as soon as his work is done. Who wrestles on the floor with our daughter and who cleans up the dishes after dinner. He is so good to us; we are so blessed. I want to show him how deeply he’s loved. Awake to my neighbors. The woman bagging my groceries is from Iraq. The woman rolling the sushi is from Burma. Their stories are invisible behind their mundane jobs, and sometimes I confess I hardly notice them at all… but what journey have they been on to bring them to this dusty West Texas desert? Are they lonely? Are they confused by this odd culture of ours? Do they need a friend? How many times have I failed to see them in a hurried effort to get the next “To Do” checked off my list? I want to wake up and welcome the stranger in my midst. Awake to my world. I am slowly realizing that I can be the mama Cora needs me to be, the wife Jacob deserves me to be, and the woman God made me to be. One doesn’t need to be shelved to achieve the other. I realize I might not be able to move to sub-Saharan Africa with the Peace Corps in this season of my life, but I can find ways to be a bearer of good news to this crazy-beautiful-broken world. I see opportunities all around… for Scarlet Threads to grow and flourish in Asia, for opportunities to partner with my friend in Uganda, to work with the women right down the street. I want Cora to know a big, big world and have a heart for all God’s people, and for her to have that, she needs to see it come alive in her mama. This life is so short. 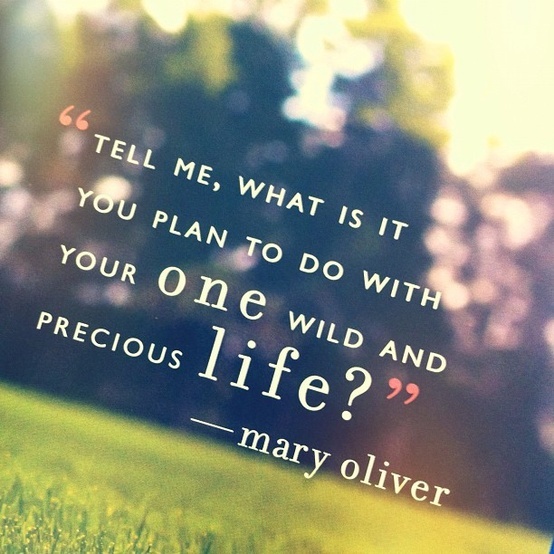 It is wild and precious. I don’t want to sleep through the beauty or the heartache. I’m going to wake up. I love this, Carrie. I share the same desires…to be awake to all those things. And I keep thinking too….I want to be ALL IN THE MOMENT. Not so distracted.